I generally don't like to talk about myself, so last year when my birthday passed by with few people at school noticing I wasn't too surprised. After all, I hadn't really told or reminded people that the big day was coming and to be fair when they found out they felt bad for missing it and insisted I should have told them. After seeing some friends brag about the cakes and presents they received from their staff I decided this year would be different. I worked the whole "birthday" thing into my classes every once in a while with subtle reminders of when my birthday was, not only that but I made a valiant effort to remember my students birthdays this year. 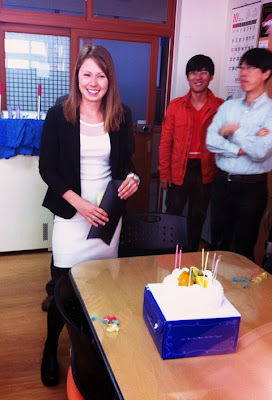 I was surprised about a month ago when Anna brought up the topic with a few other co-teachers reminding them that my birthday was coming soon. I guess I shouldn't be surprised because I know she really cares about me and wants to make sure I enjoy myself here but sometimes she comes across a bit, well, scatter brained. When I got to school Thursday morning I could tell Anna was up to something when she confirmed with me which classes I had that morning, oh and then there was one of the guys in our office who asked her what the cake was for, to which she replied "cake, what cake? I don't know?" (all of this in Korea of course). Despite her best efforts I was onto her but tried to play along as I came back from my first period to the surprise of cake, singing and even presents. Actually, before this fun began I was greeted by a hoard of first grade girls in the hallway who screamed HAPPY BIRTHDAY with a level of excitement that you can only get from korean high school girls. 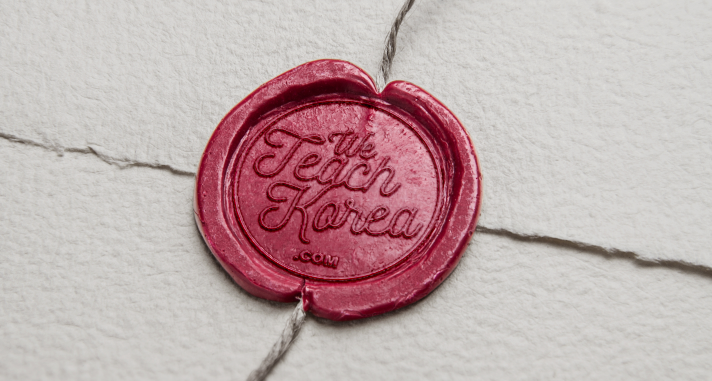 My first period started pretty quiet with no one seeming to remember so my co-teacher decided to prompt them a little bit "What day is it" to which I heard replies of "목요일 [Thursday]" and a few "이십사 [24th]" until one bright student 공도환 shouted "Teacher birthday!" Although they didn't initially remember I was still touched as they sang to me, after all this class is like the walking dead first thing in the morning. Okay so back to my party in the teachers lounge: I was ushered over to my cake, sang to, had a present shoved in my face and then told to cut the cake! I went to make a cup of coffee and while doing so was approached by one of my co-teachers who said "Stephanie, everyone is waiting for you to cut the cake so we can eat it!" I didn't realize it had to be me who cut the cake, sorry everyone. I went back over and cut a big piece which I was instructed to put on a separate place and deliver to the vice principal (who was literally sitting 10 feet away). I walked back to fetch my coffee and heard one of my co-workers say "왜 스테파니 안먹어? [Why isn't Stephanie eating?]" as I walked back to the table and gave him a look of "i'm coming!" I kid you not it was maybe 2 minutes from the time I cut the cake and nearly 3/4 of it had been destroyed by my staff. I quickly understood his concern for why I was not eating my cake. To be quiet honest though I could have cared less if I got a bite or not, cakes in Korea are nothing like those back home and honestly not very delicious. The frosting to cake ratio is about 90:1 and then there's weird bits of jellied? dried? fruit stuck inside, who came up with this thing? Anyway I found the whole scenario to be a bit strange but in all deeply appreciated the sincerity of my co-workers. The rest of the school day was pretty standard with random shouts of 'Happy Birthday' coming down the halls and a few more classes breaking into song. It was ironic though that our lunch menu included 미역국 [seaweed soup] which is traditioanlly eaten on birthdays. I was repeatedly asked if I had plans for the night or if I was going to a party because I was so dressed up. I guess this goes to show what I normally look like at school, are leggings not cutting it anymore? I actually didn't have big plans for the evening, Sara, Loudine and myself were going for massages in Gumi and in all honestly by 12 o'clock I couldn't wait to get out of that dress. The lack of birthday plans was intentional seeing as I know that Thursdays are already long enough on their own and a relaxing evening sounded perfect, the party can wait until the weekend. Finally 5:20 rolled around and I was able to go home, change into leggings and scooter over to fetch Loudine for our 6:30 massages. In all honesty that was probably the best hour of my birthday, in fact I wouldn't mind going back for another right now. Despite wanting to crawl up in a ball and stay right there we all peeled ourselves off the ground and made our way to dinner. 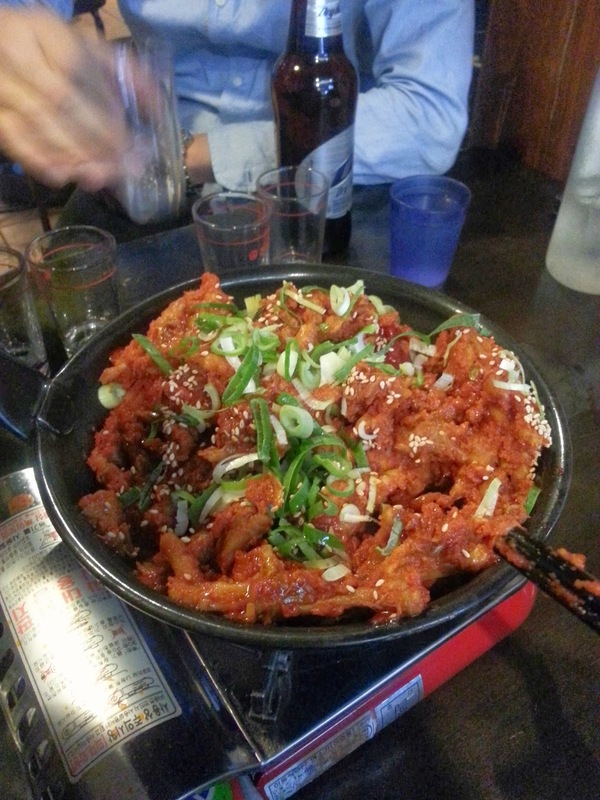 Again nothing fancy, spicy cheap Kimchi Jigae - i'm easy to please. After dinner we made our way back to Loudine's house where we were joined by my friend Joonwoo for, you guessed it, more cake. 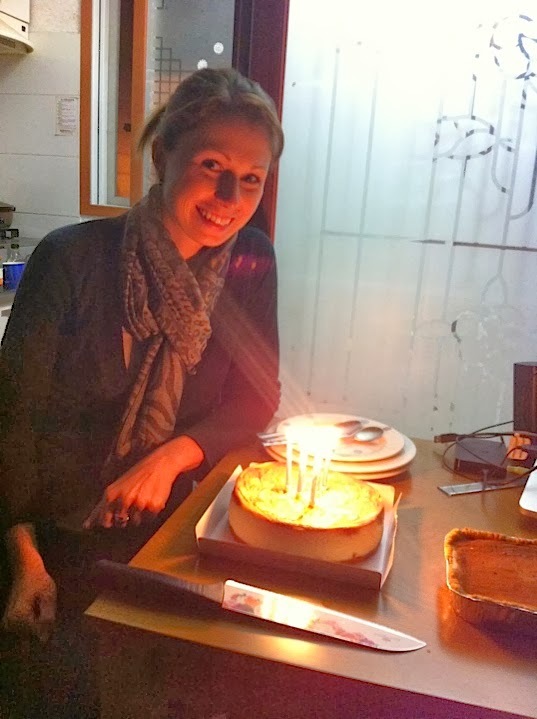 Thankfully this cake was much better than the first, special ordered by Loudine from a South African girl living in Seoul - cheesecake and a milk tart, maybe not your most traditional birthday cake but delicious none-the-less. Despite wanting to have an early night (seriously i'm getting old you guys) I finally made it home to crawl into bed around midnight, time flys I guess. One more day of school where I got a few belated wishes and lots of begging for forgiveness (how could they forget) and it was finally time for the weekend. 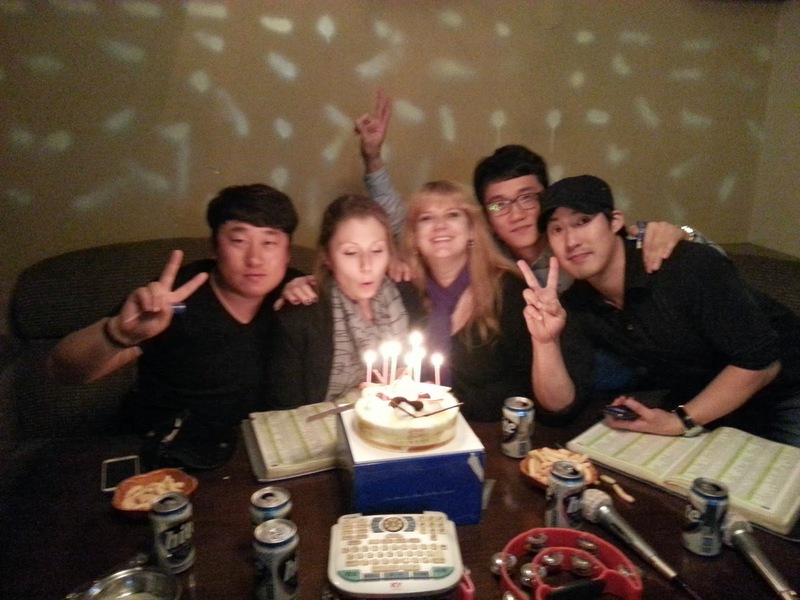 I had made plans with a few friends to head to Busan on Saturday for some proper Birthday celebrations. Unfortunately Sara woke up feeling ill so it was just Loudine and I boarding the train early that afternoon, seated comfortably on the floor of the cafe card (we kind of forgot to book tickets in advance). 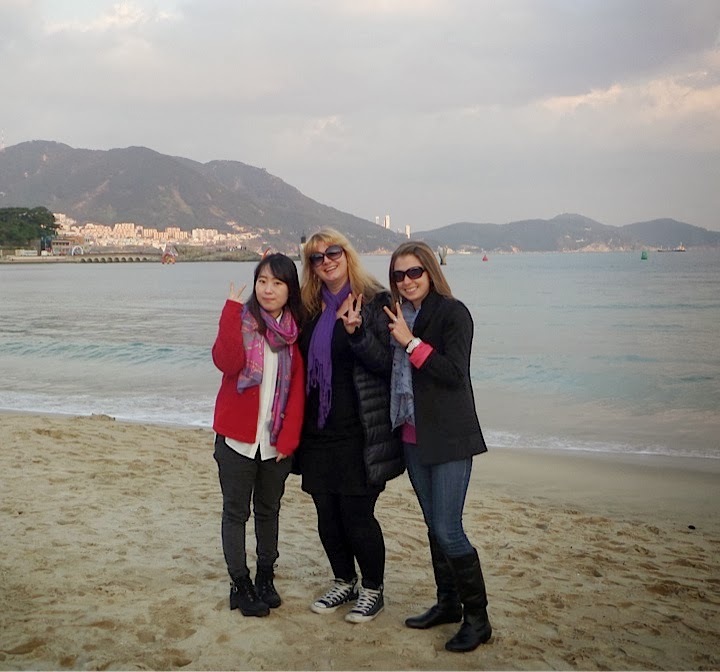 When we arrived in Busan we were met by my ex co-worker 주연 and her boyfriend who were kind enough to pick us up from the station and drive us around town. First stop was at the hostel to drop our bags, and primp ourselves before heading out. Gwangali beach was hosting a fireworks festival that weekend but due to crowds and 주연 having to catch a train back to Daegu that evening we decided against going. Instead they took us to a less popular beach so we could enjoy the ocean without hoards of people. We arrived only to find out that there was, of course, a different festival going on, we should have known avoiding crowds in Korea is not a thing. We enjoyed a short walk along the beach while the sun began to set and of course took loads of pictures. As we were leaving the beach we noticed a small top chefesque cooking competition going on so we stopped to observe. I quickly noticed the obnoxious MC of the event and knew, being the only foreigners in the crowd, we were in for a treat. Sure enough a few minutes later he was on our end of the tables asking where we were from and all the associated questions, oh and I can't forget, feeding us samples from the chefs. Thanks for celebrating with me, girls!! After our beach fun it was time for us to find something to eat, being the birthday girl Loudine insisted that I choose but as you probably know, I hate doing so. My first thought went to Galbi (high on my list of favorites in Korea) but seeing as Loudine is a vegetarian this didn't really seem like the best option for all of us. I recalled an interesting restaurant I had read about when my brother was here to visit so offered that up as a suggestion instead, and so we were soon on our way to the cave restaurant. The review online raved about the restaurants 파전 [green onion pancake] which to my disappointment was no longer on the menu here. 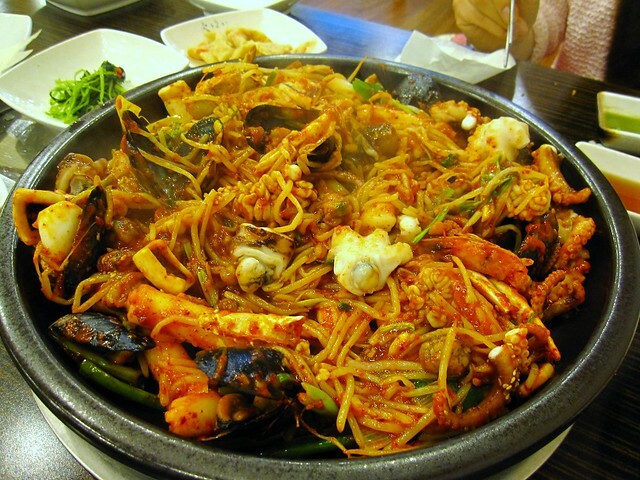 Instead they now specialize in 해물찜 a type of seafood dish which actually is among my least favorites in Korea (fail). To my surprise though this one was delicious I guess I have to go to Busan to get a quality 해물찜, oh yeah and avoid the weird larva looking things that are floating around in it. After dinner we only had about an hour before 주연 had to catch her train home (those damn strict Korean parents) so we decided to head to Seomyeon (nearby and where our hostel was located) for quick drink. The entire night I had been texting my friends from Gyeongju whom were also in Busan and we were supposed to meet up with but so far failing to do so. All too soon it was time for 주연 and her boyfriend to go, leaving Loudine and I alone at the bar, a scene we are all too familiar with. I continued to try to make plans with my friends, as well as texting a few other Busan connections I have but nothing was coming together. Sick of the frosty toast and weird beers we decided to pick a second location and thought we'd give the Thursday Party of Busan a try. Loudine was hesitant to go but I explained how there's no army base near where we were so this place should be doucebag free, thankfully I was right. We ordered beer from our Zombie (I kind of forgot it was also Halloween weekend), and soon found ourselves playing darts with two Korean guys. They spoke amazing English (one having served as a Katusa probably helped that) but apparently weren't interested in talking to us past that one game. Back at our table there was a new group of three seating directly next to us and before long we were the best of friends. 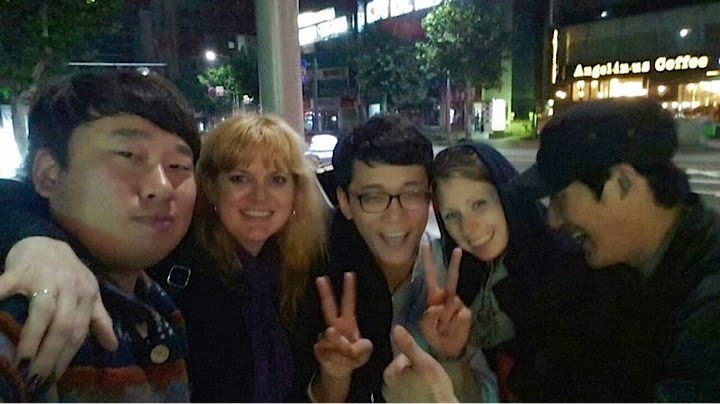 By this point I had pretty much given up on seeing my friends from Gyeongju, although they had come to Busan for the purpose of celebrating with me, it was clear that wasn't going to happen. Eventually, sick of the bar scene they invited us to go to their friends noraebang with them, which of course we agreed to. As I sat down browsing the book for something to sing they came waltzing into the room with a birthday cake for me, and this time I was completely surprised. Seeing as their friend owned the noraebang and we weren't paying we stayed there singing well into the night, possibly overstaying our welcome, but having way too much fun to leave. When we finally did leave I realized just how late it was but also knew we weren't done yet, round five anyone? We stood in the street for a while trying to figure out what we should do next, actually we were just standing around acting like idiots. Finally I made the move to insist we go back to Seomyeon and find something to do since the area we were in was dead and I wanted to get closer to our home for the night. Back in a taxi and 10 minutes later we made the decision to get something to eat (and probably drink too). As we neared the restaurant I saw a big banner advertising 닭발 [chicken feet] and got more excited than I should have. They guys were surprised and confused but I explained that I've been wanting to try them and this seemed like the perfect opportunity to do so. And so, that is how my birthday celebrations ended, with three drunk boys from Busan, my good friend Loudine, and a piping hot plate of chicken feet. 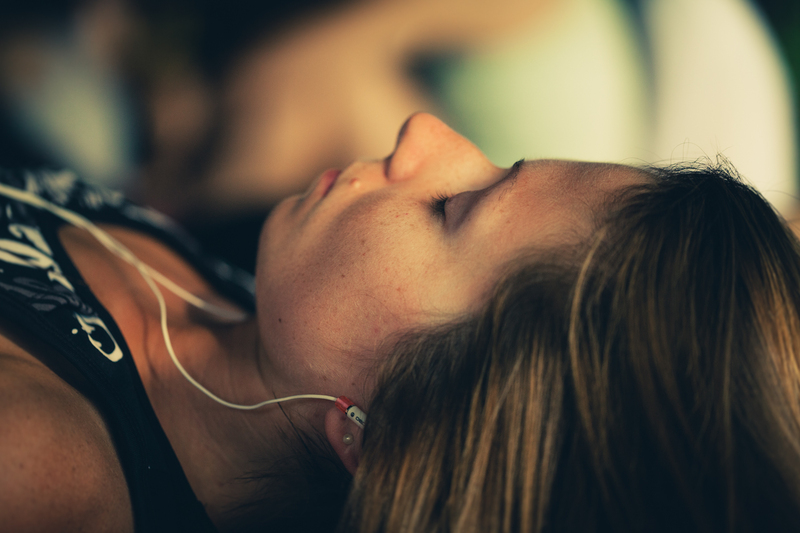 Would I have done anything differently, I think not. EVERY good birthday ends with Chicken feet, no?